Gov. Eric J. Holcomb and Indiana Department of Transportation Commissioner Joe McGuinness have announced 189 Indiana cities, towns and counties, including Huntington and Huntington County, received a combined $115 million in state-matching funds for local road projects through the Next Level Roads: Community Crossings Initiative. The Huntington County Soil and Water Conservation District is hosting a free septic system workshop on Thursday, April 11, at the Dogwood Glen Golf Course Banquet Hall, in Warren, from 6:30 p.m. to 8:30 p.m. The workshop will feature speakers L.A. Brown, of L.A. Brown Co., and Brant Ricker, of the Huntington County Department of Health. Topics will include basics of how a septic system works, proper care and maintenance and things to do and things to avoid. The Huntington County Soil and Water Conservation District will hold its monthly meeting on Wednesday, April 10, at 7 p.m. at the district office located at 2040 Riverfork Drive, Huntington. U.S. Air Force Airman Jordan B. Neal has graduated from basic military training at Joint Base San Antonio-Lackland, San Antonio, TX. Airmen who complete basic training also earn four credits toward an associates in applied science degree through the Community College of the Air Force. Neal earned distinction as an honor graduate. The Andrews Town Council was pleased to learn that it would not have to conduct another income survey in order to pursue a grant that would fund the installation of stormwater infrastructure in town. The Huntington Common Council will hold a special meeting on Tuesday, April 23, in the council chambers at the Huntington City Building at 7 p.m. The council will receive information, consider and perhaps act on matters brought before it. This meeting is being held instead of the regularly scheduled council meeting on April 30. The Huntington City Building is located at 300 Cherry St., Huntington. The Huntington County Democratic Party will meet on Wednesday, April 3, at the Huntington Branch of the Huntington City-Township Public Library at 6:30 p.m. The party’s candidates and the rules of the municipal primary election will be discussed. The Democratic presidential contenders will also be discussed. The public is welcome to attend the meeting. A garage located on a property on West Morse Street in Markle is in line for demolition, after the Markle Town Council gave the go-ahead to proceed with tearing down the structure during its regular meeting Wednesday, March 20. Marla Stambazze of the Huntington Countywide Department of Community Development told the council that the garage at 320 W. Morse St. has deteriorated even more than when it was first cited. The trustees of the Roanoke Public Library will convene in an executive session Tuesday, March 26, at 6:30 p.m., preceding the board’s regular meeting. The executive session will be held in the library’s program room. The purpose of the meeting is for employee performance evaluations. 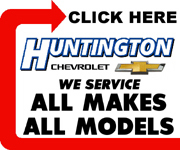 7 p.m. - Huntington County Council, G.A.R. Room, Courthouse. 6:30 p.m. - Huntington County Board of Zoning Appeals, G.A.R. Room, Courthouse. day, March 14, electing Markle Church of Christ pastor Aaron McClary to the post. Council President Jeff Humbarger made the motion to have McClary serve out the term of Eric “Rick” Bower, who moved out of town and had to leave the council. With a second from Vice President Mark Hamilton, the motion carried 2-0. Congressman Jim Banks (IN-03) has announced that he will be holding a town hall meeting in Montpelier on Thursday, March 21, and in Huntington on Friday, March 22. Banks will meet with constituents in the two cities to provide a legislative update and answer questions from local residents. The Montpelier meeting will be begin at 12:30 p.m. at the Montpelier Civic Center, 339 S. Main St., Montpelier. The Huntington town hall meeting will begin at 10 a.m. at Huntington University, Habecker Dining Commons, Banquet Room C, 502 Lake St., Huntington. The Roanoke Town Council voted to reprimand and suspend a part-time officer with the Roanoke Police Department at its meeting on Tuesday, March 19. The outcome was, ultimately, a victory for the officer, Brian Potts, whom Town Marshal Jim Wood had requested council dismiss from the department. Wood filed a petition for Potts’ termination last December after videos were recorded a month prior that depicted Potts looking through personal property on Wood’s desk.